Welcome on kidsguitarworld – the first place to visit before buying a kid’s guitar. 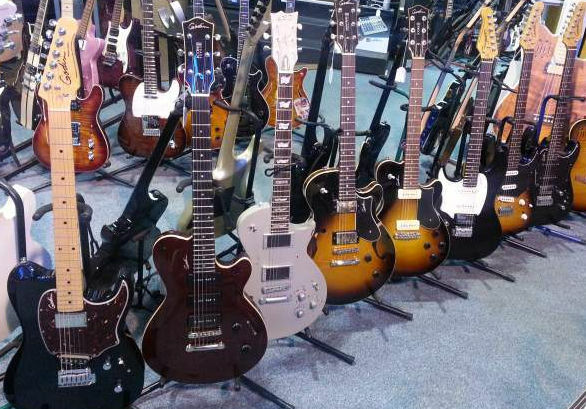 If you’re looking for a guitar and you’re not a guitarist it may be quite hard to know which one to buy. Therefore, this site will help you choosing the right guitar for your child depending on your budget. It’s already a good sign that you were landing on this site since it shows that you care about getting just the right instrument for your child. Guitars are great instrument and I could give you endless reasons why the guitar is the perfect instrument for young beginners. They exists in different sizes, there are good quality instruments out there, which are very affordable and playing the guitar is just an awesome freetime activity. Moreover, kidsguitarworld guides you also after the buying process when it comes to picking up the right approach for learning the guitar. 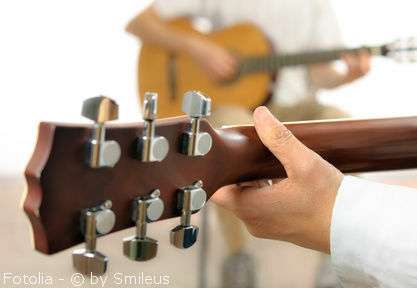 We have also great learning materials for parents and teachers to improve their guitar lessons. 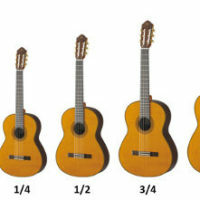 But size is only one aspect on the way to the right guitar. If you read more about guitars, you will find out that there are actually a lot of different guitar types: classical guitar, acoustic guitar, electric guitar, parlor guitar, and so on. 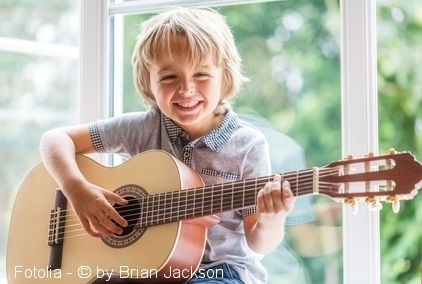 In almost every case, the classical guitar is the best guitar for kids. 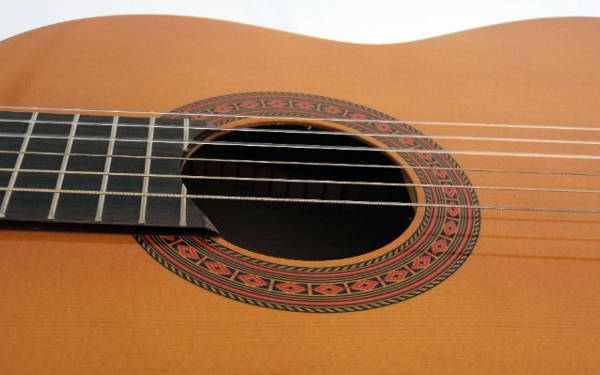 Classical guitars are nylon-string guitars and they are much more comfortable to play for beginners. 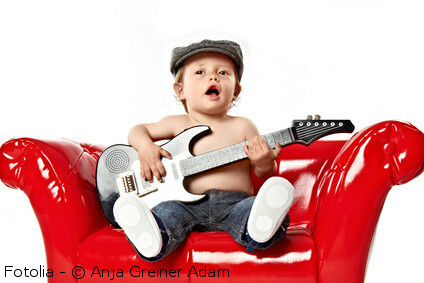 Before buying the first guitar for your child, read our complete buyer’s guide for kid’s guitars. Find all the necessary information that you need to consider when you child starts learning the guitar. Parents can choose among different possibilities: Guitar lessons at a music school, online guitar lessons or self-teaching by books. 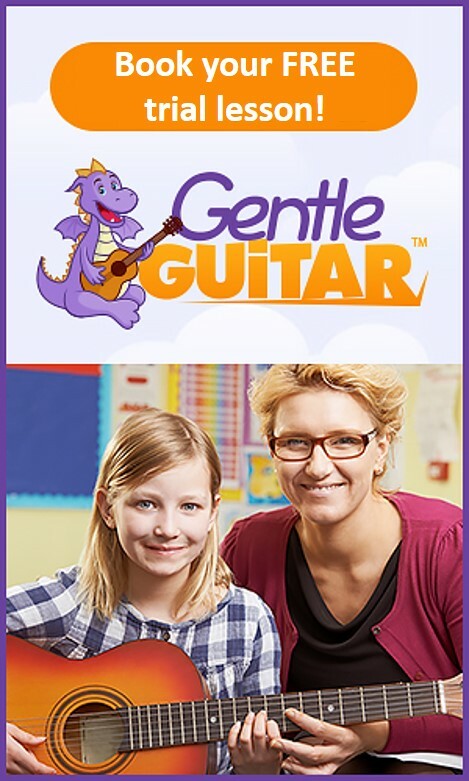 Guitar teachers find information on teaching guitar for kids and printables for free that they can use for their guitar lessons. These materials are especially designed for young kids. 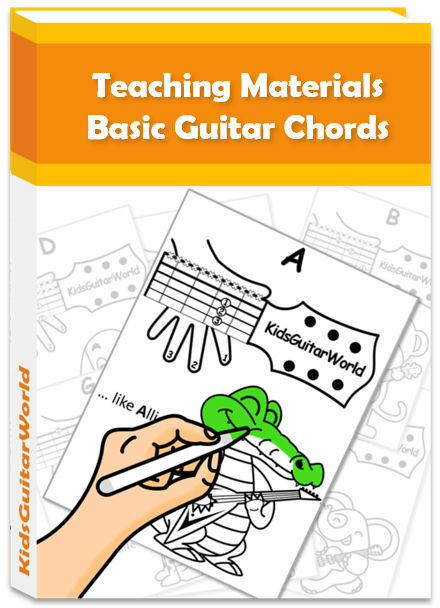 One of our most popular downloads are the guitar chord sheets for kids. Each chord sheets features a cartoon animal to paint in. 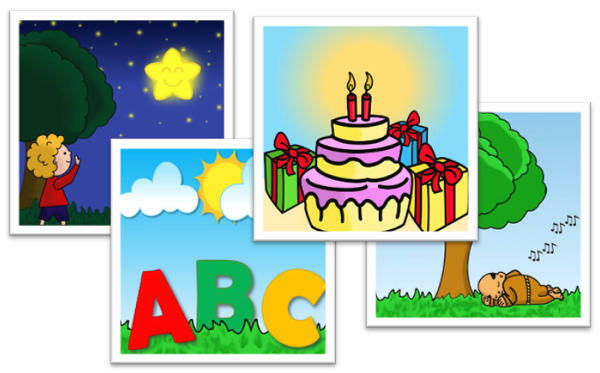 Recently, we have launched a little library with easy guitar songs for kids. Most of the songs are nursery rhymes because they are short, catchy, most of the kids know already the lyrics and they are easy to play on the guitar. For all of them you can download the lyrics with chords, tabs and sheet music. Guitars are great musical instruments for kids, but how about ukuleles? They are small and lightweight, which make them in terms of construction a perfect instruments for young kids. In addition to that, learning to play the ukulele is also easier than learning to play the guitar. So, ukuleles are a good choice for young kids. We are going to present you the best ukuleles for kids and tell you more about at what you should look at when buying one for your child. Find also some easy ukulele songs for kids with chords. 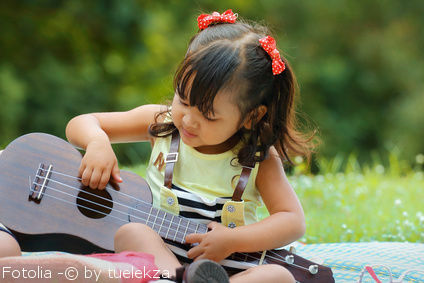 Sometimes kids are not ready yet to learn properly a musical instrument because they are too young or their concentration is not enough developped. But that’s nothing bad since there is not one age where a child should ideally start learning the guitar. Instead of pushing them, you should let them decide when they feel comfortable learning the guitar. For all the young kids and toddlers that are not ready yet to learn the guitar, there are great toy guitars out there. They allow kids to explore the guitar in a fun way.